Saturdays: they should be spent having fun with family and friends. They should not be spent doing chores or washing the family car– though, unfortunately, they often are. Why? Many think that an at-home, DIY car wash is a more convenient, “greener” alternative to a professional car wash. If only they knew that, in most cases, having a car washed by a professional is more eco-friendly than doing it at home. Not only are professional car washes better for the community because they cut down on water usage, they also help prevent the contaminated runoff that hand car washes at home cause. Washing a car at home requires about 110 gallons of water. This water is used to wet the car down and rinse it off and doesn’t include the liquid that’s mixed in with the wash solution. This is almost the same amount of water it takes to run a dishwasher seven times. Professional car washes typically only use 17 to 69 gallons per car. Water usage isn’t the only category where the professionals come out ahead – the pros win on what happens after the car wash, too. Many cities let storm water flow directly into nearby bodies of water like rivers, lakes, and oceans. This means gallons of water containing soap and dirt end up contaminating local water supplies every time a car is hand washed at home. That runoff often contains heavy metals, like copper from brake dust or cadmium, lead, and zinc from tires. Those heavy metals can be poisonous to wildlife when ingested or even when absorbed through the skin. 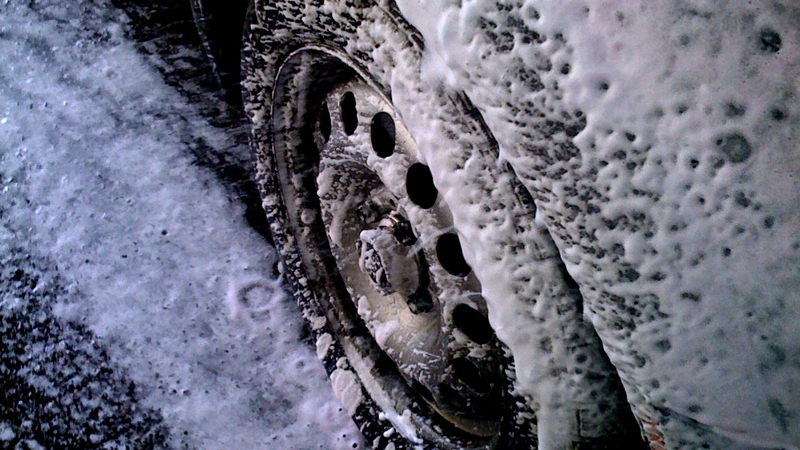 While those facts may make dealing with a dirty car sound more appealing, filthy vehicles are not the answer either. Heavy rains wash off a lot of accumulated grime that will end up right back in the storm system. For this reason, the most environmentally friendly choice is to use a professional car wash.
Mr. Clean Car Wash recycles ninety percent of the water they use. This both conserves water and practically eliminates the release of contaminants into the environment. Mr. Clean Car Wash not only allows families and friends to take in Saturday fun, it also lends a hand in saving the planet while saving consumers money. Currently, Mr. Clean Car Wash visitors can enjoy unlimited car washes for one low monthly fee, or can buy a wash booklet of 6 car washes for the price of 5! What’s not to love?